When looking to prepare a quick pasta meal midweek, pesto, which originates from Genoa, Italy, and combines the simplest of ingredients into a flavour-packed sauce, is essential to have on hand. I love the smell of fresh basil, which instantly transports me to hot and sunny Mediterranean climates. 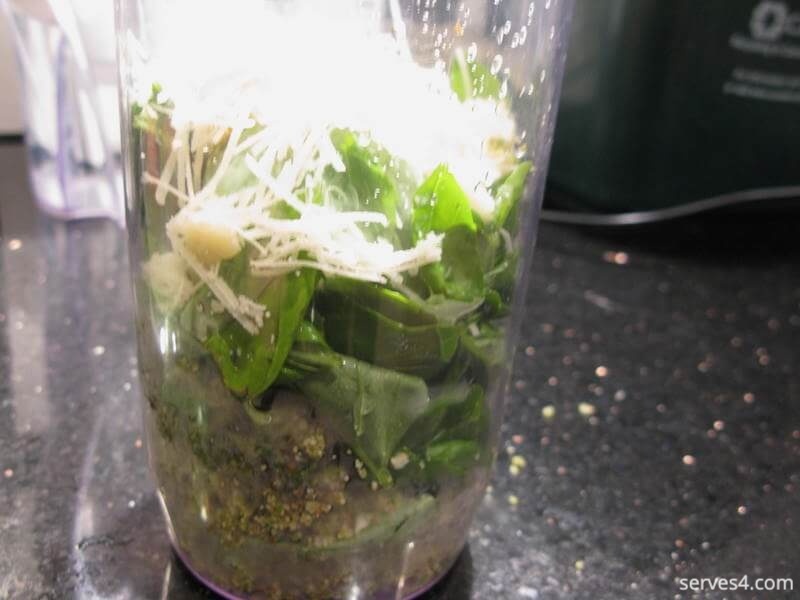 Combine the basil with some nuts, a hard cheese like Parmesan and some good quality olive oil, and you will have a sauce that your little ones will love it, too. 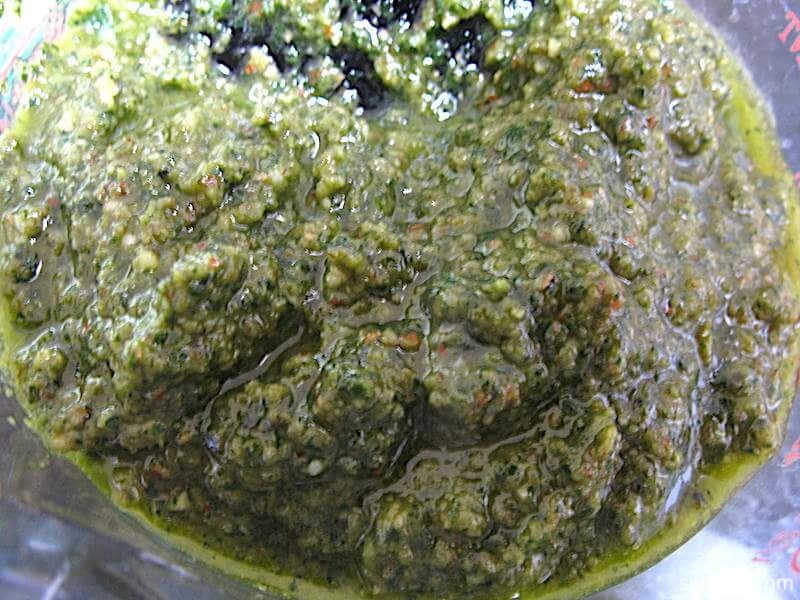 Interestingly, the word 'pesto' is derived from the Italian word pestare, which means 'to pound' or 'to crush'. Traditional methods of preparation used a mortar and pestle to grind and blend the ingredients. Thankfully, modern technology allows us to grind and blend electrically, thereby enabling us to turn this into a quick pasta recipe! Traditional pesto sauce uses toasted pine nuts, which have a dense a creamy texture that is delightful. This recipe uses almonds, which are a slightly drier nut and therefore yields a lighter flavoured pesto. The bits of ground almond skin also add a lovely touch of colour to the pesto, complementing the deep green of the basil. I have used Parmesan in this recipe, but you can use another hard cheese of your choice, for example, Grano Padano. I also recommend using the highest quality olive oil that you can and preferably extra virgin. So much of the flavour of the pesto comes from the oil, which helps draw out the flavours of the basil, nuts and cheese. 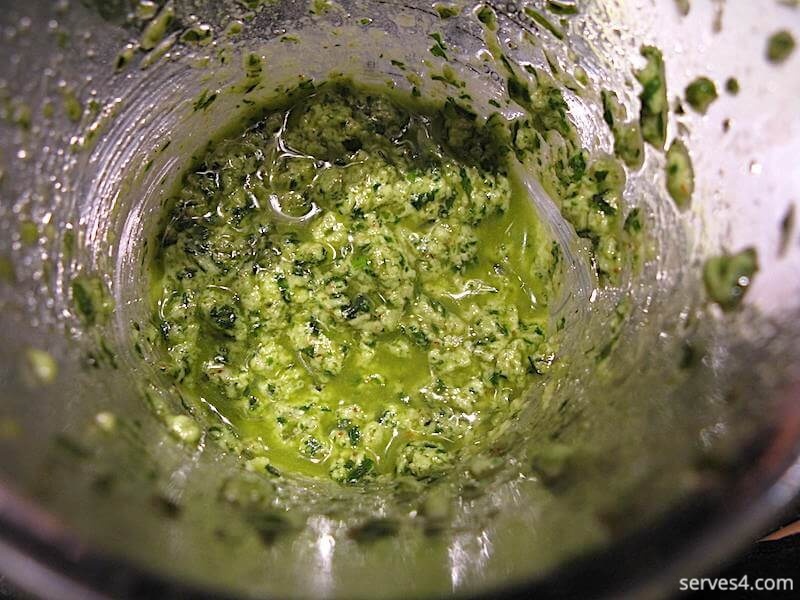 This recipe yields about 200ml of pesto sauce. 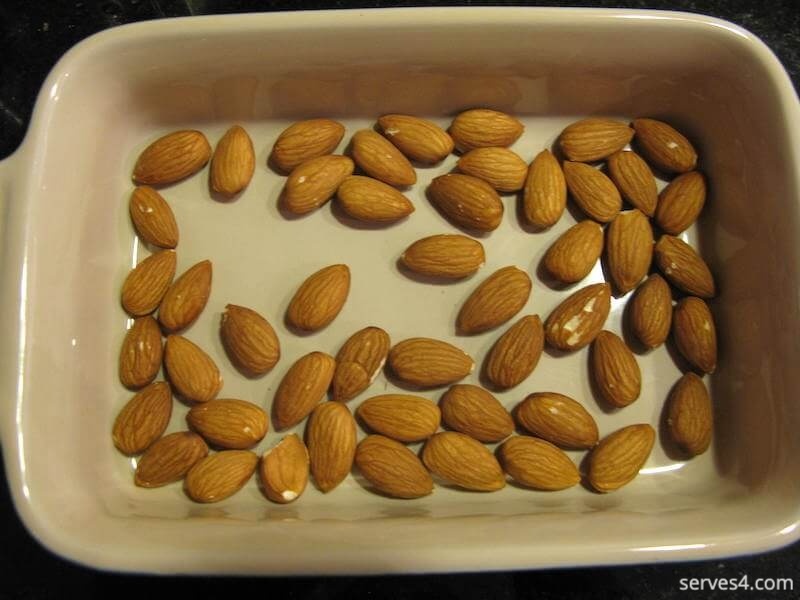 Spread the almonds in a small oven-proof tray, and bake for 5-10 minutes, until lightly toasted. Check frequently, as nuts can burn quickly. When toasted, remove the almonds from the oven, and set aside to cool. If you're using a food processor, place the toasted almonds, basil leave, garlic and Parmesan in it, and blitz to a paste, making sure all the almonds are finely ground. Then slowly add the olive oil, with the motor still running, until the mixture becomes a thick puree. Alternatively, I grind my nuts first using an electric spice grinder. 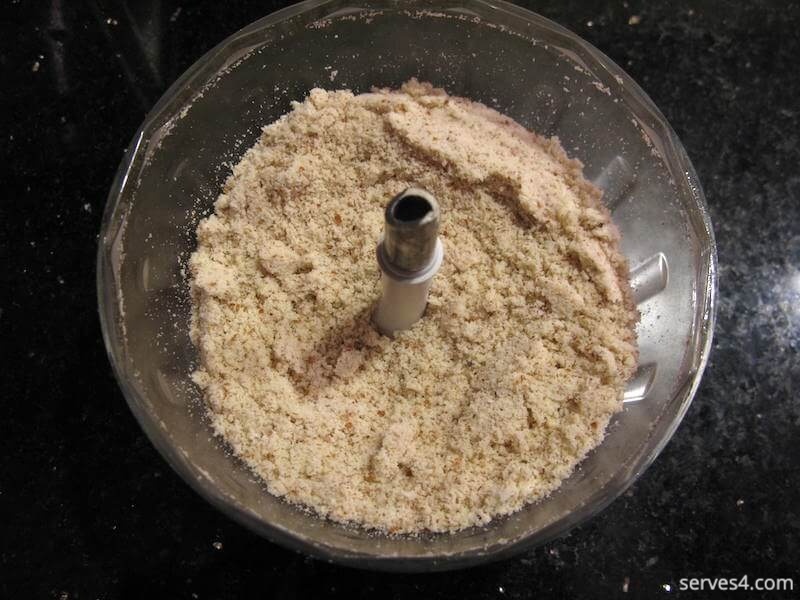 I then pour the nuts into a tall and narrow container, add the garlic, some basil leaves and some grated Parmesan, and blitz together using a handheld stick blender. Next I add some of the olive oil to make the blending easier and continue alternating adding basil and Parmesan with adding olive oil, blending between each addition, until all the ingredients have been used. Blend all ingredients together well to ensure a uniform mixture, which should resemble a thick puree. Pour the pesto into a bowl, add the lemon juice, and season with some freshly grated black pepper, if desired, and mix well. The pesto will keep, covered, in the fridge for a few days, or freeze in small quantities for future use.